Protocast-JLC provides cost-effective solutions to your investment casting projects. 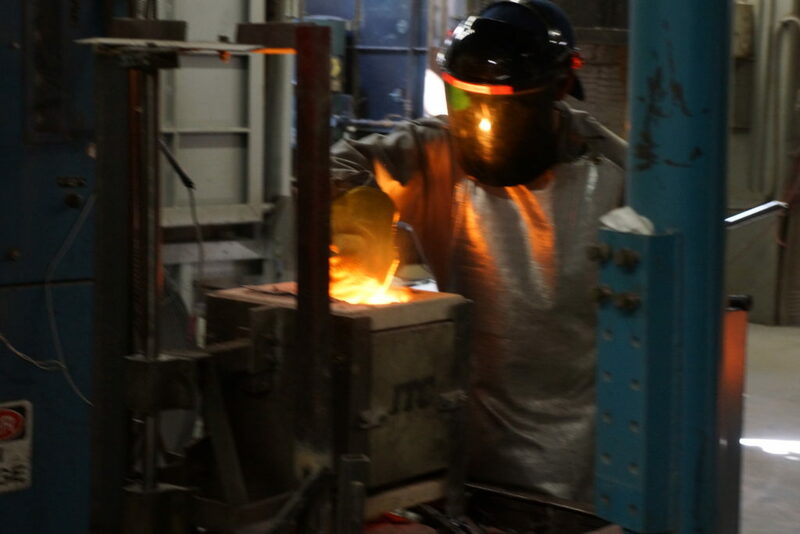 Whether aluminum, steel, or a copper based alloy your casting project will be in good hands with our experienced engineers and project managers. Castings can be manufactured with complex features, including interior cavities, complex passageways, three-dimensional contours, thin walls, holes, and undercuts, eliminating the need for expensive assembly of multiple parts. Investment castings typically hold tolerances of .003” – .005” per inch, reducing the need for many secondary machining operations. Due to the smooth surface of the wax pattern and the fine grain of the stucco or plaster used to create the mold, investment castings will have a surface finish of 125 RMS or better, with finishes as good as 63 RMS possible. The investment casting process allows for a great deal of consistency and repeatability within the drawing tolerances of the final product. A single casting can replace complicated and often expensive fabricated parts and weldments. By incorporating many functional features into one casting, cost reductions can be obtained. Machining costs can be reduced by the tight tolerances that are held in the as-cast part. Investment castings also have low initial tooling costs as compared to other production methods. Depending on the function of the designed part, investment castings can be produced using a variety of alloys, including aluminum, steel, nickel, cobalt, or bronze. No other casting process offers as wide a range of alloys. Investment castings can be produced in numbers ranging from individual prototype runs to long production runs. There is no need to produce tens of thousands of castings to make the process affordable. Protocast JLC can produce tooling and first article castings in as little as four weeks, with production runs completed in as little as four weeks following sample approval. Prototype castings can be produced as quickly as 5 days.